When people think of Chinese food, visions of white takeaway boxes filled with ginger beef, sweet n' sour pork and chow mein noodles typically come to mind. The North American version of this Asian cuisine is actually Cantonese food, which is eaten in parts of the south of China and Hong Kong. But what about the rest of this massive nation? What type of food do they enjoy? 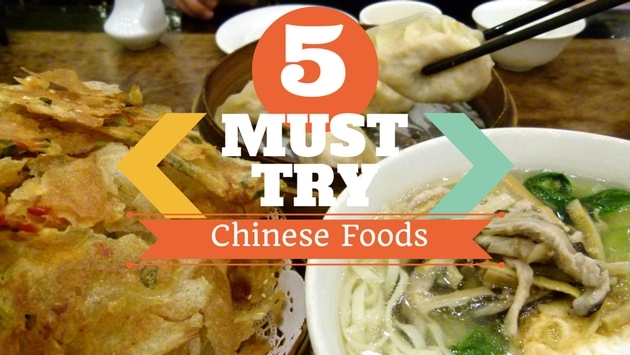 Here are 5 Must-Try Chinese meals, which don't include fried noodles. Lamian soup is made with long, thin, hand-made noodles and topped with slices of lamb. Sometimes strips of beef will be added, but typically mutton or lamb is used. The clear broth is made with parsley, garlic, cabbage and onions. Depending on where in China you are eating this dish, the ingredients could vary greatly. The two main ingredients are the meat and the handmade noodles. This is a favourite meal of the Hui People and Uyghur People living in the northwestern reaches of China. Although this soup originates here, it can also be found all over other parts of China and is the perfect lunch meal. 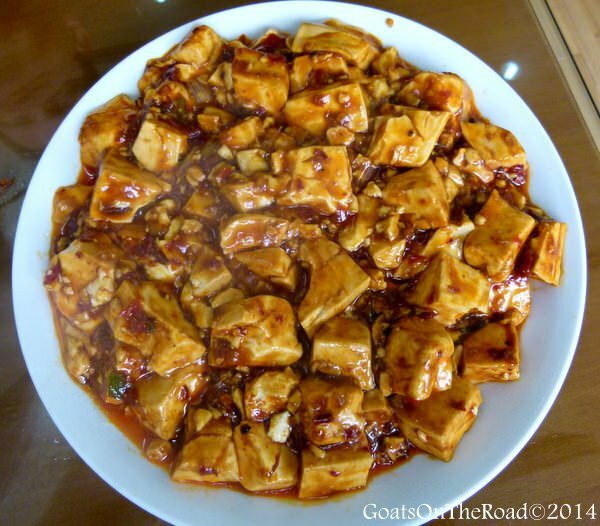 China is known for its many tofu dishes, all of which are very flavorful and delicious. Ma la tofu can be found all over the region, with varying amounts of spice. This flavorful dish is created by taking cubes of soft tofu and lightly frying it together with a sauce made from black beans, chili bean paste, soy sauce, sesame oil, Sichuan peppers and garlic. Typically this tofu meal will be served over rice. 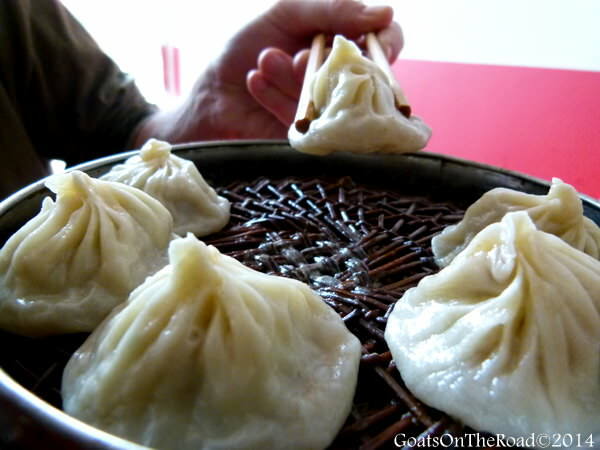 Dumplings in varying shapes, sizes and fillings can be found all over China. The most common ingredient is ground pork. However, cabbage, egg and other vegetables can be used as well. The meat and vegetable mixture is wrapped in a thinly rolled piece of dough, the edges are crimped closed and then they are steamed. A soy-vinegar dipping sauce, or a chili sauce typically accompanies these delicious morsels! Want to learn how to make dumplings? Click here! This is one of our favorite dishes from the Dong Bei region in Northeastern China. Thin slices of pork are battered, fried and covered in a sweet vinegar sauce. Sometimes pieces of ginger accompany the plate of deliciousness. This is one of the best dishes in China... although not very healthy. Huaiyang cuisine can be found around Yangzhou in Eastern China, where we lived for a year teaching English. 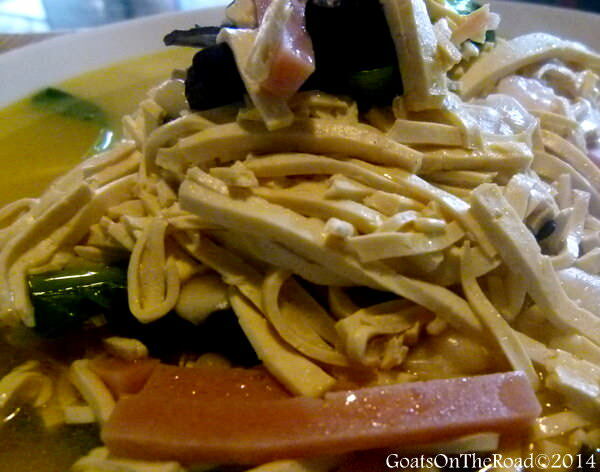 This tofu meal is created with dried, shredded tofu mixed together with greens, bamboo shoots and soaked in a chicken broth. The tofu actually has the texture of noodles in this flavorful dish. Chinese food is so much more than what you find in takeout joints across North America. Each region and province has its own unique cuisine, bursting with flavor. The next time you're thinking of going out for Chinese food at home, consider looking up a Sichuan or Dong Bei restaurant, you won't be disappointed!